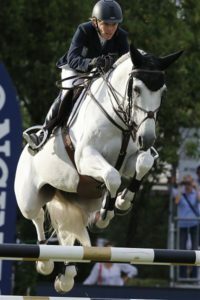 Show jumper Meredith Michaels-Beerbaum wins third place iwth Fibonaccti at the Global Champions Tour in Doha, Qatar. She remained without a fault in the decisive passage. Congratulations!